As a new visitor in the United States, your international J-1 staff may experience something called "culture shock" at some point during their program. This is a common experience for travelers when they enter a new environment that is different from their home country, but the symptoms may vary for each person. 1. Be patient when a participant is speaking English. Our participants are carefully screened and speak English, but if English isn't a student's first language they may stumble over a word or speak slowly. Being immersed in a new culture can be overwhelming, so be patient with new international staff members! Their language skills and confidence will only improve as the program goes on, but it's helpful to be patient in the first few weeks of the program. It can take a little while to feel comfortable speaking in a completely new environment. 2. Be clear about rules and etiquette on the job: Your international staff will be entering a new country with different customs than their own. Be clear about rules on the job and the general work culture so there is one less thing to worry about and second guess. For example, explain the dress code, etiquette towards customers, privacy in the workplace, and other helpful tips that make the day run smoothly. Keep in mind that some rules or customs that seem obvious to you may be cultural and not obvious to an international student in the U.S. for the first time. 3. Suggest cultural exchange activities. Introduce American culture in a fun and friendly way to help international staff enjoy their experience in the U.S. For example, organize a fun day out with other employees at a nearby attraction or throw a potluck lunch or dinner. See our Cultural Activities Toolkit for Employers for all kinds of ideas and ways to get your international staff involved in American culture! Also share our Cultural Compass with participants to help empower them to plan their own activities. 4. Be ready to listen. A new international staff member may be overwhelmed by their early days at a new job, so just be welcoming and ready to listen if they have any questions about their role at your business. We also recommend this resource on Culture Shock and the cultural differences in the United States for international visitors. 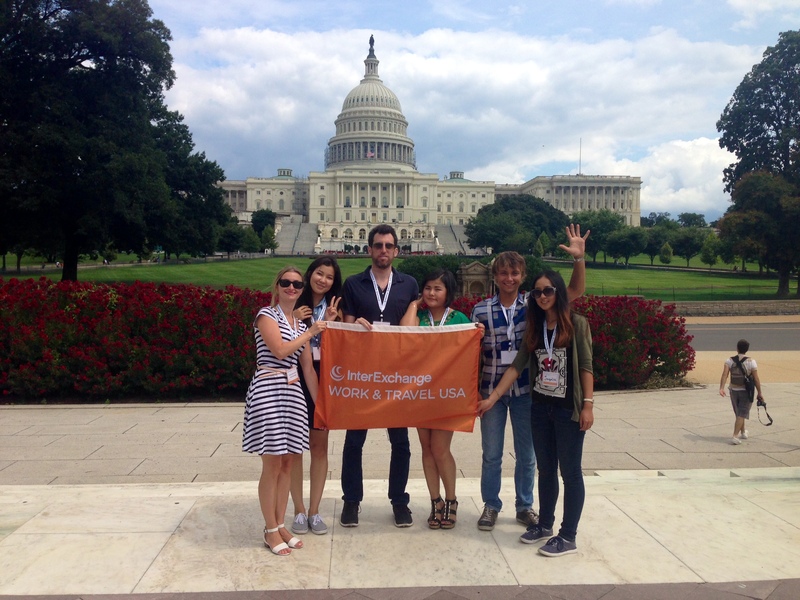 Find more information on hiring international staff on the InterExchange Work & Travel USA website!